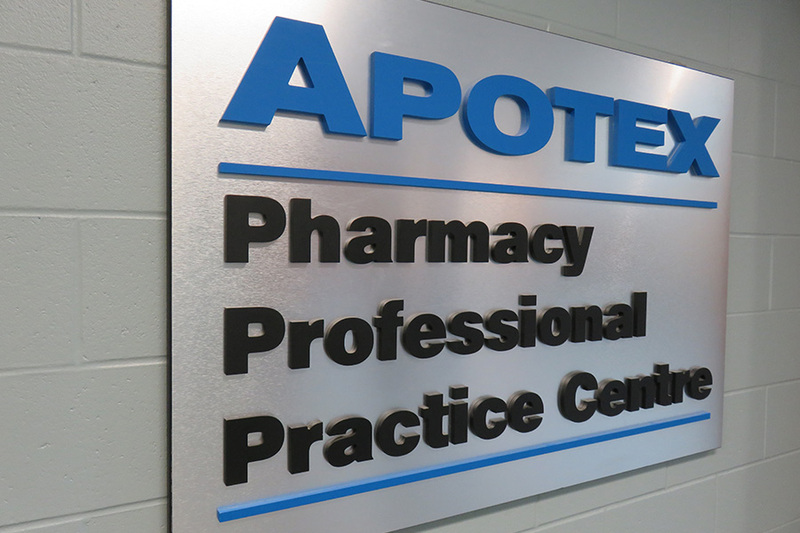 The Apotex Pharmacy Professional Practice Centre is located in the Health Sciences Building. The University of Saskatchewan and Apotex Inc. have renewed their partnership with a $1.6 million donation by the company to the College of Pharmacy and Nutrition. The gift, which is the largest donation in the college’s history, will be received over eight years and support college initiatives and activities. The most notable of these initiatives is the Apotex Pharmacy Professional Practice Centre, where students work in real-life pharmacy settings to learn to counsel patients and work as a team. The original practice centre was created in the Thorvaldson Building and was supported by a $1.5 million donation from Apotex in 2008. With the recent relocation of the college to the expanded Health Sciences Building, the practice centre moved to its new home in the E-Wing of the building in 2013.